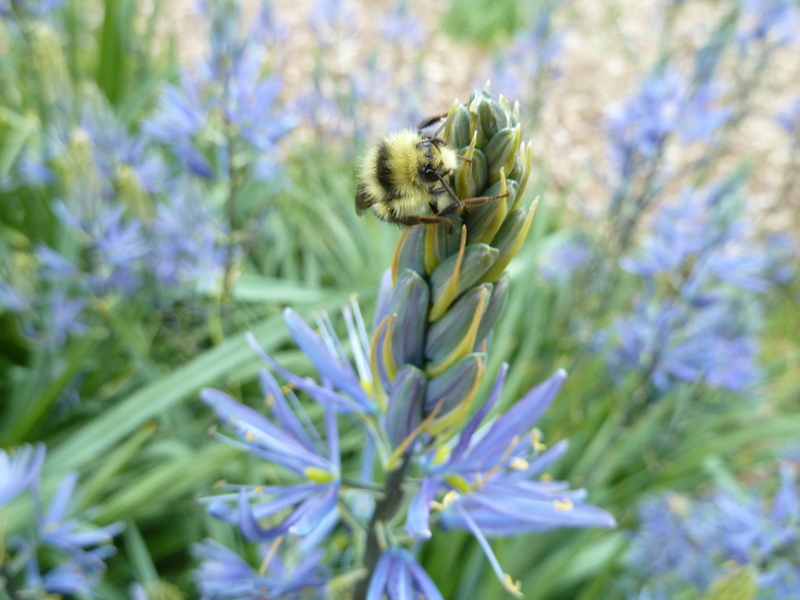 Large camas (Camassia leichtlinii) is a spring-flowering bulbous perennial wildflower that is beautiful enough for the most high-end ornamental garden, yet adaptable and ecologically important enough to be included in habitat restoration projects within its range. Purple, lavender, or blueish-purple, star-shaped flowers open sequentially (bottom to top) in an upright terminal raceme, on thick stems that reach 2.5′-3.5′ tall. 2′ long, strap-shaped leaves rise from the clumping bulbs and wither after flowering. 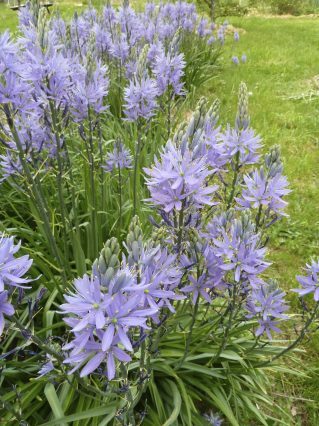 A lover of moist conditions, especially winter through late spring, large camas can dry out in the late summer months when the bulbs go dormant. In the wild, large camas is typically found growing in vernally moist meadows, grasslands, and on moist slopes or along rivers and streams. Tolerant of a wide variety of soil types, including clay, as long as there is adequate moisture in the spring. 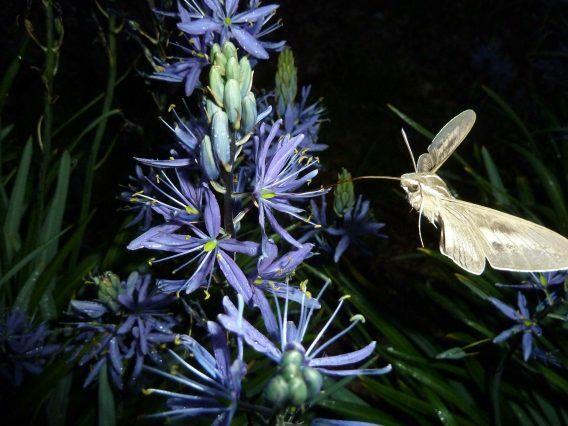 Camas provides valuable, early-season nectar and pollen for a variety of native pollinators. Camas was a staple food for many Native American tribes. The bulbs were harvested in the fall and either pit roasted or boiled and eaten, or dried and pounded into a flour. Klamath-Siskiyou Native Seeds has large camas (Camassia leichtlinii) seed available. Check out our online shopping cart today!